This was a build employing a hardline custom liquid cooling loop. It was based on the aesthetics of the NZXT Noctis 450. The cooling layout was carefully planned to be as minimalist and efficient as possible given the moderate space requirements of the case. Also placement of the core cooling parts were chosen as to provide prominence to the most visually appeal parts while at the same keeping in mind for practicality. The size of the components worked out optimally given the stock layout of the case . The computer will be used for Pentesting, Gaming, and Productivity. Very simple and clean with that liquid cooling. Normally I see them in colors but I like the clearness of it and not seeing the tubes so busy inside makes it lovely. A great build! A lovely PC that you had made for yourself. Plus one! Thanks a lot. The one thing I want to say that if you're handy with your hands, or a DIY type of person, then it's a great project to have fun with. This was my first custom loop, I just watched a lot of YouTube and read a lot of forums before I started it. Have to say, was a lot of fun. Thanks for the compliment. Yes, Cablemod Black/Red extension, are on my order list. Just getting some breathing room as I have a few other bills to take care of since the holidays. I'm curious about the loop.. does it go pump, GPU, CPU, radiator, pump? I only ask, because I noticed the temperatures.. or is there another radiator at the bottom? Thanks for the compliment. The loop (as I would describe it) goes: Reservoir, Pump, Radiator, CPU, GPU, back to Reservoir. There is no 2nd Rad yet, going to add a second 240 rad soon, at that time the loop would be: Reservoir, Pump, Radiator (Front-240mm), Radiator (Top-360mm), CPU, GPU, back to Reservoir. How much did the entire loop itself cost??? Usually you can get a couple rads, res, and pump for ~ $300. 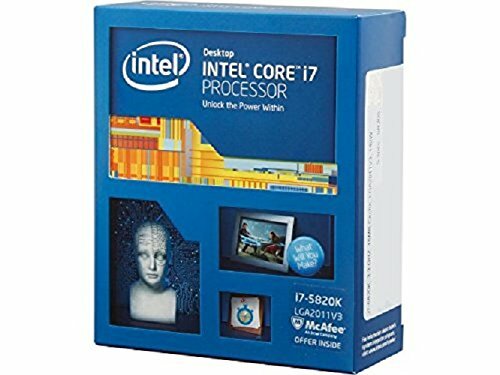 The CPU and GPU blocks are upwards of $150 total. Fittings are usually close to $100. Then you have fluids, brackets and other little things. Usually will run you at least $600 for a custom loop like this. Congrats on being featured! Great build! Thanks a lot. I had no idea that I would make "featured build". Thanks to all who like it. It seems the blue sticker is still on your CPU block. Thanks, lol. I didn't even notice that. I swear I just thought that was how they wanted it to look. Haha you're welcome. Otherwise awesome first rigid tube build. Lines are nice and straight! I'm curious if you're gonna add color to your fluid at some point. I wanted the liquid to be red. But I heard from various forum posts that red is hardest to remove from your system. Especially, if it stains the tubes - it would be annoying to do the bends again to change color or go back to clear. I may look into red tubing. I'm not sure yet. What clear agents did you add to your fluid? sweet build, i am also curious about your loop details since i plan to do custom watercooling in my H440. is that top 360 rad the only one you use ? or do you have another one in the front ? Wow, actually that's a good idea. I was originally thinking 360 for the front, but when I realized I would still need at least one drive bay to hold the HDD and Reservior, I immediate thought 240 for the front. You just reminded me that 2x140s also fit the 450 case in front. Makes a lot of sense, just need a change of fans with it, but that's not a big deal. Thanks, really, I will do that! Yeah you won't get much temperature benefit. Its still a good project and I can't wait to custom loop mine one day. Its honestly more for show than it is performance unless your running like a 980 TI or TITAN X. Still looks awesome though and looks totally worth, although I'm not a fan of the case. Indeed, I have to order some extensions. I just finished the build a day ago. I have a few things on the to-do list: lighting, sleeving, gpu backplate, and fan upgrades. If you're in EU I recommend Coldzero for backplates. I used them when I got my GPU backplate. Lightning fast delivery and awesome backplate. Thanks a lot. It was a fun. Would love to do another but my budget doesn't allow it. Maybe in a year or so. Until then I'll upgrade this one here and there. Yeah finished my Christmas build and am already starting to plan my next one, it's really gratifying to get a build just the way you want it. Sadly my budget doesn't fit my next new toy either. I want to try for the smallest form factor 4K I can get...but it's far in the future. That is one very tidy loop, great job! The idle CPU temp looks rather high though, especially at stock clocks? Likely, there is only one 360mm rad, and it's a thin rad at that: 30mm. I know the general rule of thumb is at least 240mm worth of rad per cooling component but my plan was to get the initial loop completed then add a front radiator. The reason why I don't have 2 rads is because I still have 3 2TB HDDs in front, once I get a single 6TB HDD, I'll get rid of some of the drive bays and add another 280mm rad in front. Ah fair play, I don't have experience in watercooling, was just a little taken back your idle temp was 8 degrees hotter than mine with a small Noctua cooler at 4ooRPM..
From what I've read as well, temps are also relative to Ambient temps outside the case; like right now, it's at 36 C, but the Ambient temperature is 33C which was a bit cooler than when I first recorded the temps, but yea, the higher temps are most likely due to a lack of radiator and mediocre radiator fans. Still have some TO-DO's on the build. But thanks for the comments. It's appreciated. Haha sorry it's been a long day, I'd overlooked this.. If you ambient is 33° C then you stunning loop is doing a great job!! Lol, yea, I know, I didn't get the cablemod extensions yet. I thought the Ugly black and yellow 6-pin connector going to the GPU was worse. I thought the 24-pin was so far in the back that most would pass over it. Good attention to detail. Thanks for the compliment on the build. It's appreciated. Still, love the build. Would have liked to see a monoblock in the loop to keep the VRM in check. But, since there likely is not one available for this mobo, +111 (666) from me. Yea, it would have been nice to add a monoblock. However, truthfully, I got one of the cheapest X99 Motherboards available at the time. I wasn't thinking about aesthetics or functionality. I just wanted something that supported LGA 2011-V3 at a "reasonable" price. If I had to do it over again, I would definitely spend a bit more on the MB to get some added features and bling. But thanks for the comment, and advice. Much appreciated. Oh, and I name all my PCs/Laptops, etc after Demons from Dungeons and Dragons. I named my girlfriend's laptop "Glasya". Lol. Just a simple question how much would a water cooling system like that cost? I am curious as I have a closed loop cooler for my CPU and GPU and they obtain quite cooler temperatures. The build needs another radiator since both the CPU and GPU are being cooled. Also, temps are affected by the ambient temperature which was somewhere in the 30s at the time I noted the temps. The cost is around $400-$500 depending on number of fittings and brand of accessories you buy. Congrats on your temps though, sounds like you got a good AIO cooler. Yeah I have a EVGA cooler for my 980, I get like 28C when I play Witcher 3 but anyway very nice build. Nice and neat build. But do not do lights or anything else buy a second radiator coz water after taking hit from CPU is going right to GPU in your loop (Reservoir, Pump, Radiator, CPU, GPU, back to Reservoir.) Which is really does not make sense. Sorry. No problem. Thanks for the criticism. I will take it into account. Thanks a lot. It's more than enough. Why the GTX 970? Not a 980 or 390? The PC components were actually transferred from a previous build. At the time I was trying to build a "moderate" budget PC, so I skimped on some components. And I believe the 390 wasn't out at the time. But if I had to do it from the ground up, I'd definitely select some higher end components. I love the way you mounted the reservoir. You're right, I either didn't see an option for the low profile version, or it wasn't listed. More likely I didn't see it. Thanks for the correction. http://pcpartpicker.com/part/crucial-memory-bls2k4g4d240fsa Here you go. I think this is the right model you are looking for. Thanks a lot. I'll see if I can edit it. It's Appreciated. Really nice cable management and i persoanlly like the way you did the cooling. makes the build look nice and neat. ALso what improvements will u be planning for the future? Add lighting, another radiator, cable extensions to neaten up the power cables to the MB, GPU and CPU, and adding some better fans. Thanks for the compliment. I have to say this case really made cable management quite easy, even with a non-modular power supply. What rads are you using? How was it cleaning the radiator? Not bad, I flushed it with distilled water and a touch of distilled vinegar, then again with just distilled water. It's definitely something that needs to be done. Flux and other elements were flushed out. You make a good point. My only excuse is that this wasn't a completely new build from the ground up. The internals (including the 970) came out of an old case with a CPU cooling solution that wouldn't work in Noctis 450 (it used a dual 5.25 drive bay), so I decided to do a custom loop. I put the 970 in the loop, well, mainly for aesthetic reasons (and I did feel the vram did get a little too hot at times). If I was doing it completely from the ground up, there would have definitely been a different choice of components, but honestly, I just don't have the cash to build a high end system with fresh components. Essentially, the case and the loop are what have been added to older components. Lastly, I also just wanted to see how hard it was to do the hard line loop. Thanks for your comments, everything is taken in good spirits. pentesting? Do I smell some Kali Linux here? I dual boot, and always have a linux partition on all my machines. Not Kali currently, but a version of Kubuntu on this machine. Nevertheless, I keep a fair amount of pentesting tools on that distro, especially those that require GPU acceleration. And in windows, I have Kali as a VM of course. I see. Yeah, my machine only has virtual machines, and I have this second old Dell as a sort of ground zero for linux things... I think its in a tri boot with Win 10 Pro, Kali, and Ubuntu/Mint... or the MBR could still be borked, no idea. Sorry if I was unclear, I meant that this build I'm dual booting windows 10 and a version of kUbuntu. The native boot is essential to take advantage of the GPU acceleration using pyrit or oclhashcat or any other accelerated attack. Here is a boring video of me booting into the Linux partition and testing pyrit: https://m.youtube.com/watch?v=GEsDCUOW1eQ. It's mostly me rambling. The testing starts at 9:10. I got that. I was talking about my personal setup... I'm stuck with a computer from 2005 and one from 2008 lol. Oh sorry I misread your post. I'm at work dozing off, lol. Yea, I hate how windows complicates booting. You have no idea how many times I had to reinstall grub and then use a windows recovery disc and use bootrec to rebuild the bcd or something. It's so much simpler on Linux. Yea, I fell in love with this case when I first saw it. One of the reasons I decided to do a custom liquid cooled loop was because I couldn't find any pictures of this case with one. And thanks. First build I've seen with pentesting use in mind. Thanks, I have to say it was unexpected, especially given how many other great builds there are. Absolutely beautiful. I enjoy the crispness of it. Thanks a lot for the compliment. I love how clean this build is and how everything fits together so nicely. My hat tips to you sir! Great Build. I'm surprised I didn't see a 980 in this build. Im so confused. I want to believe the liquid cooling is connected to the gpu but no way thats a 970. I have a 970 and its 5 times fatter than that. So confused, someone explain? Thank you so much! COMPLETELLY forgot about how the fans get removed, silly me. Hahaha, thanks man! Thanks for the compliment. I wanted to go with a red dye, but I heard that red was the hardest to remove from the system and would eventually stain the loop. I'm all ears if you have any suggestions on a particular brand. I know Mayhems is one of the most well known. I have extensions in order and some lighting. well thanks and your most certainly are correct, red dye is the hardest to remove from a system, honestly i would just recommend you pick an EK Fluid since i know Mayhems have a problem and will corrode if you use their pastel fluid, Watch Jayz2cents on that one. I would recommend using an EK blood red and get some cable extensions, the fluid can be cleaned but your system specs seem great and if you plan on changing your colour scheem i'd also imagine you'd be changing some other things, plus your CPU block isnt acrylic so if it gets dyed no worries, your GPU block might, just might become a tinge of red but i doubt it, you can clean red fluid it is just a bit more of a pain. What are the water cooling components? Looks awesome, never thought that clear tubing and coolant could look so could haha +1 On a side note, how did you mount the reservoir to the case? Did it come with mounting hardware? Very nice build. I didn't even know hard line watercooling was a thing, shows how up to date I am. 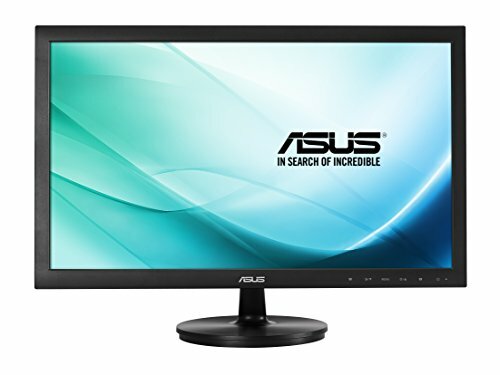 WE WANT PICTURES OF THAT MONITOR SETUP! This is a great build!!!! 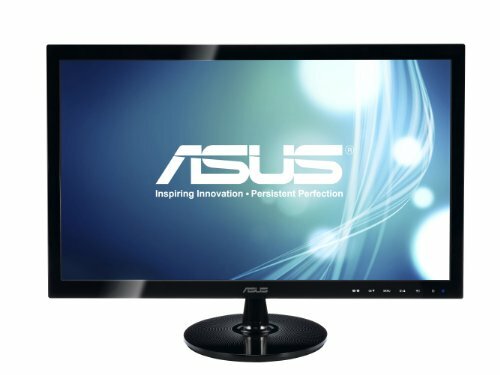 <3 >.< This is not too expensive, but it's a budget hardline, which I like (#I'm terrible at doing a budget hardline build). Great Job!!!! You should be able to just get away with a 60mm 240 rad. However, I'm guessing you're going to be using top mounted fans. 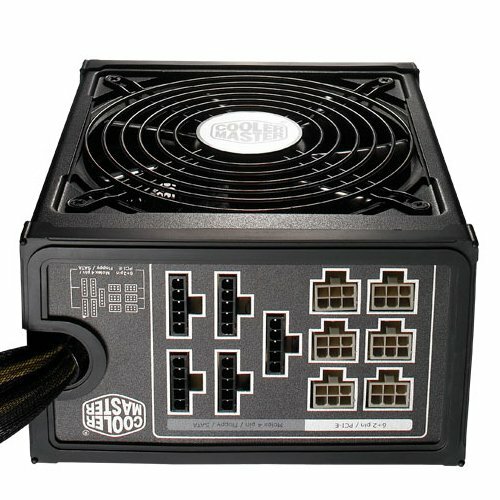 You're not going to be able to do a push pull or bottom mount fan setup. You should be able to get away with a 360 rad, again however, no bottom mounted fans. However, you will have to position the rad so that the fitting holes point toward the rear of the case unless you want to mod the case, since the fitting extension piece on the Alphacool rad will run into the tapered front end. Also, if you're going to do top mount fans with a 360, the fan closest to the front will prevent the top panel from fitting flush, you can cut off a corner piece of the fan's screwhole to make it fit. Both of these mods I had to do with a 30mm 360 rad, so be mindful. Hey so I'm thinking about doing a custom loop also and was wondering how much it cost you? And this is a beautiful build and I love the set up of the loop, usually I see way to clustered loops and my OCD dies to kick in! Thanks for the compliment. I took a decent amount of time planning out the loop and changed my plan several different times. I believe that one of the most overlooked thing in PC watercooling is how to run the loop. I think most guys just get the components and want to start the build. I wanted to simply have the least amount of runs as possible with the least amount of bends, and have them all be 90 degrees. lol i was litterally going to name my noctis build asmodeus too, then i saw this build. mind if we share names? Sure, no problem. I'm sure our won't be the last to name a build Asmodeus. Good Luck with the build. Really like the radiator hideout. Wicked loop. I'm planning on build a build with the Noctis 450 too and I want a custom water loop also. I was wondering how were you able to stick the reservoir there ? It is screwed to the drive caddies, IE drive bays. Nice water Loop! How was it to build one in this case? Thanks. It actually wasn't that bad. Although it's a mid-tower case, you have a decent amount of room, especially if you remove the drive bay retaining wall, but even if you don't you still have a decent placement options. very good but!! VIDEO CARD 970 4GB STRIX is low not very but Uprgade to 1070 or 1080 better than 970 very in 45 fps!!!!! And 4k 56-60 fps!!! 1070 and i7 5820K or i7 6800K is very good!!!!! GOOD BYE!!! Thanks a lot. I had a lot of inspiration on many of the PCs I've seen on overclock forums and reddit. 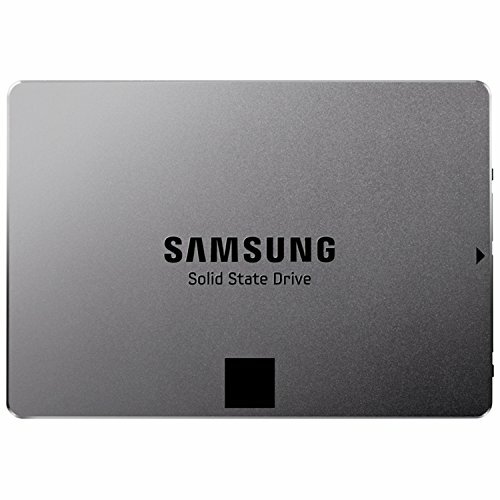 In retrospect I could have probably used a smaller ssd however, I do boot multiple Operating systems, and I wanted them to have good drive performance. As far as the 970, I didn't think the performance increase of the 980 was worth the extra cost at the time. But again in retrospect, I could have chose a smaller ssd and with the money got the 980. The components were bought last year and the loop and case built this year, mostly done because I liked the aesthetics and it looked like an enjoyable challenge. Thanks for the criticism and compliment. It is. It was also bending before with the stock cooler, and the waterblock doesn't weight too much more than the stock cooler. It's fastened as secure as I could with the stock bracket. I haven't figured out a way to prop it up without putting something in the case that would look out of place. Any suggestions? It was funny. Thanks for the laugh!